(Left to right, back to front row): His Excellency Ivan Korcok (Ambassador of the Slovak Republic), The Honorable Stuart W. Holliday (President & CEO, Meridian International Center), His Excellency Ngote Gali Koutou (Ambassador of the Republic of Chad), His Excellency Philip Jada Natana (Ambassador of the Republic of South Sudan), His Excellency Dr. Fernando Llorca Castro (Ambassador of the Republic of Costa Rica), His Excellency Varuzhan Nersesyan (Ambassador of Armenia), His Excellency Mohamed Atta Abbas (Ambassador of the Republic of the Sudan), Her Excellency Martha Bárcena Coqui (Ambassador of the United Mexican States), Her Excellency Roya Rahmani (Ambassador of the Islamic Republic of Afghanistan), His Excellency Dr. Otgonbayar Yondon (Ambassador of Mongolia), His Excellency Keith Azzopardi (Ambassador of the Republic of Malta), and His Excellency Sankatana Gabriel Maja (Ambassador of the Kingdom of Lesotho). Photo: Jessica Latos. 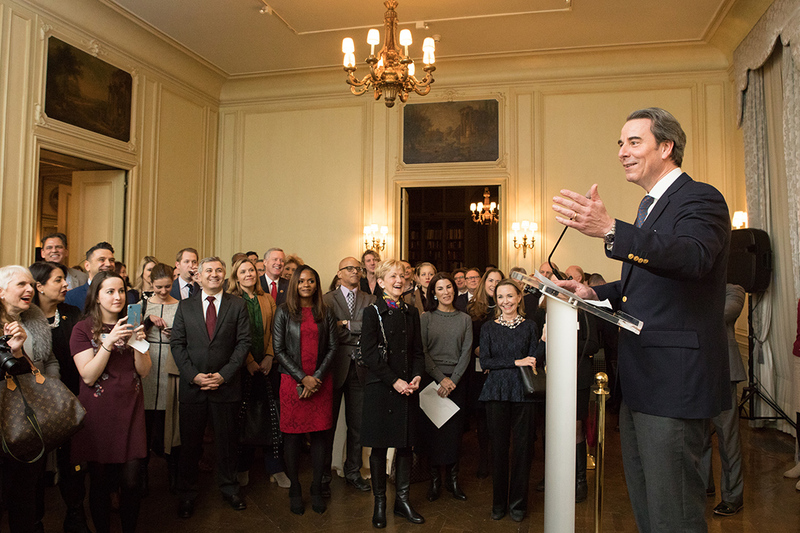 On January 15, 2019, Meridian International Center hosted an evening reception to welcome newly-arrived international ambassadors to Washington, DC. 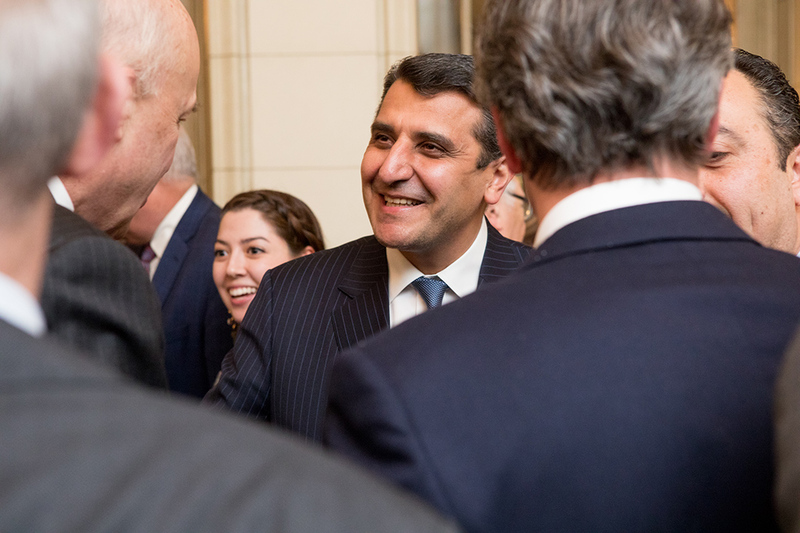 Meridian honors new ambassadors twice a year through Welcome to Washington receptions, which provide Chiefs of Mission with an opportunity to meet and engage with a cross-section of Washington influencers and decisionmakers from the government, business and policy communities. 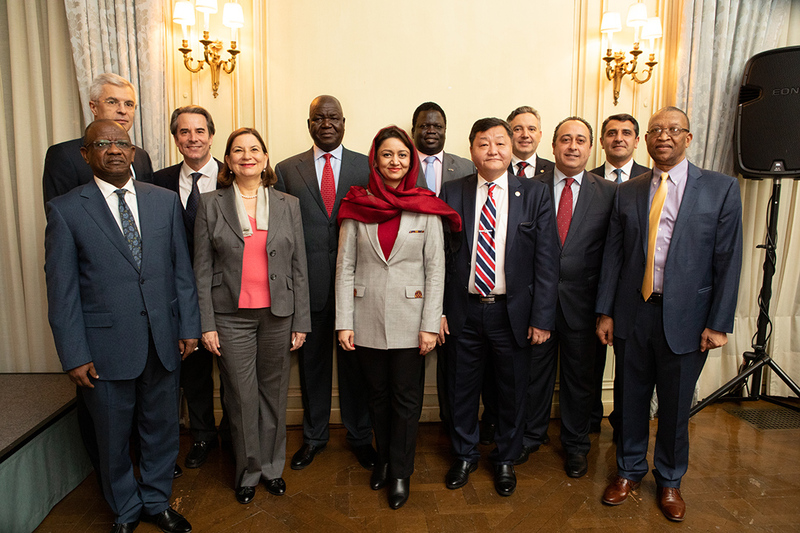 This reception introduced 12 new ambassadors hailing from Afghanistan, Armenia, Chad, Chile, Costa Rica, Lesotho, Sudan, Malta, Mexico, Mongolia, Slovakia, and South Sudan. Many high-profile guests from Meridian’s network were present, including Amb. John Negroponte (Vice Chairman, McLarty Associates), Ray Washburne (President and CEO, OPIC), Air Force Secretary Heather Wilson, Rep. Mark Meadows (R-N.C.) and Debbie Meadows, Ambassador Tom Shannon (Under Secretary of State for Political Affairs 2016 to 2018), John Phillips (Ambassador to Italy 2013 to 2017) and Linda Douglass (Head of Communications, Bloomberg), Josh Rogin (Political Analyst, The Washington Post), Capricia Marshall (Chief of Protocol 2009 to 2013), James Jones (Chairman and CEO, Monarch Global Strategies), and Tod Sedgwick (Ambassador to Slovakia 2010 to 2015). Meridian’s Board of Trustees, Diplomatic Engagement Advisory Committee, Global Leadership Council and Corporate Council were also well-represented. Meridian International Center’s President and CEO Ambassador Stuart W. Holliday provided brief remarks acknowledging the ambassadors’ important roles in strengthening international relations at their new postings. Building peer-to-peer relationships in Washington is crucial for diplomats to exchange information and facilitate bilateral cooperation on a wide variety of global issues. Through the new Meridian Center for Diplomatic Engagement, Meridian creates opportunities like the Welcome to Washington reception to accelerate collaboration between the international diplomatic corps and U.S. public and private sector leaders to cooperate on solutions to global economic and security issues. For more information, please visit our page. 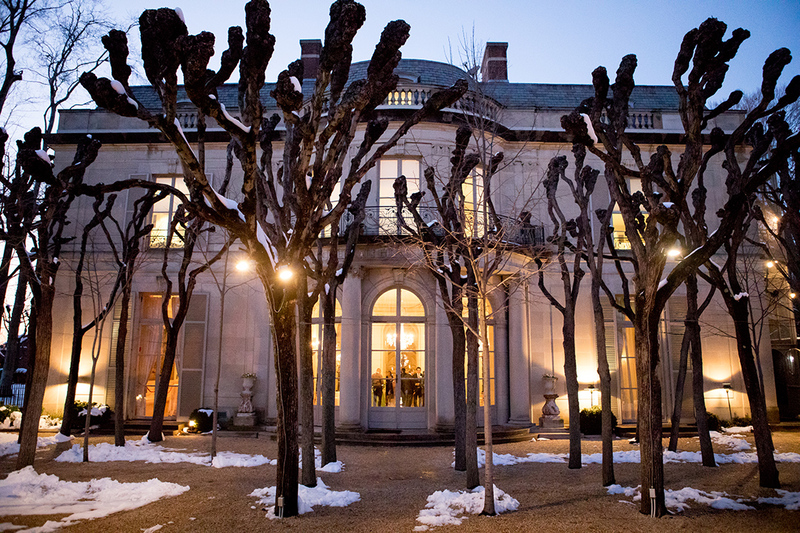 The Welcome to Washington Reception on the evening of January 15, 2019 at Meridian House. Photo: Jessica Latos. His Excellency Varuzhan Nersesyan (Ambassador of Armenia). Photo: Jessica Latos. 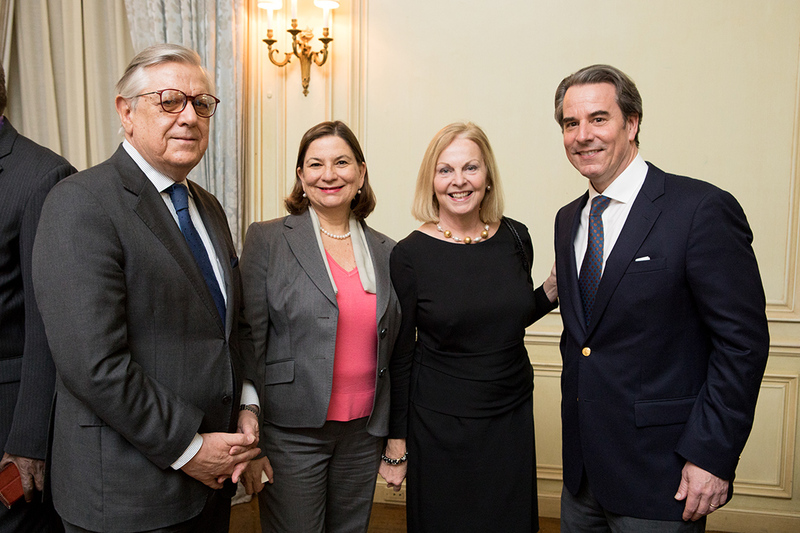 His Excellency Oscar Alfonso Sebastian Silva Navarro (Ambassador of the Republic of Chile), Her Excellency Martha Bárcena Coqui (Ambassador of the United Mexican States), The Honorable Laurie Fulton, and The Honorable Stuart W. Holliday. Photo: Jessica Latos. The Honorable Stuart W. Holliday honors new ambassadors at the Welcome to Washington reception. Photo: Jessica Latos. 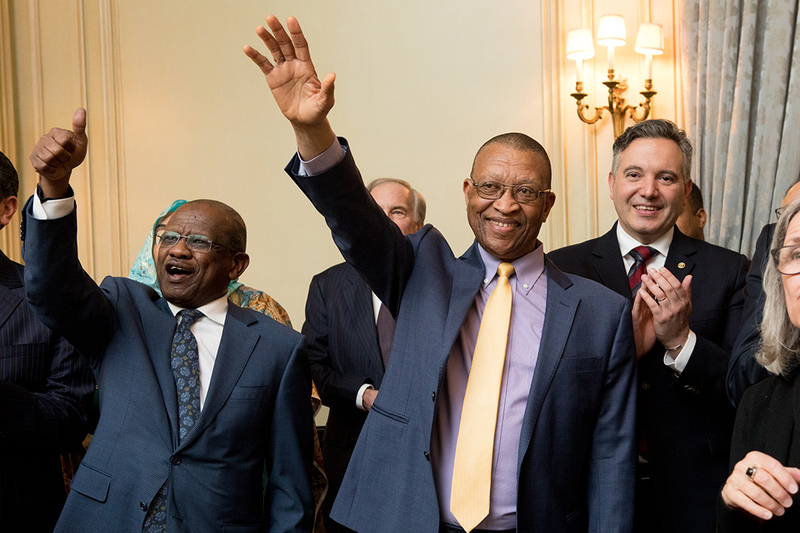 His Excellency Mohamed Atta Abbas (Ambassador of the Republic of the Sudan), His Excellency Sankatana Gabriel Maja (Ambassador of the Kingdom of Lesotho), and His Excellency Dr. Fernando Llorca Castro (Ambassador of the Republic of Costa Rica). Photo: Jessica Latos. 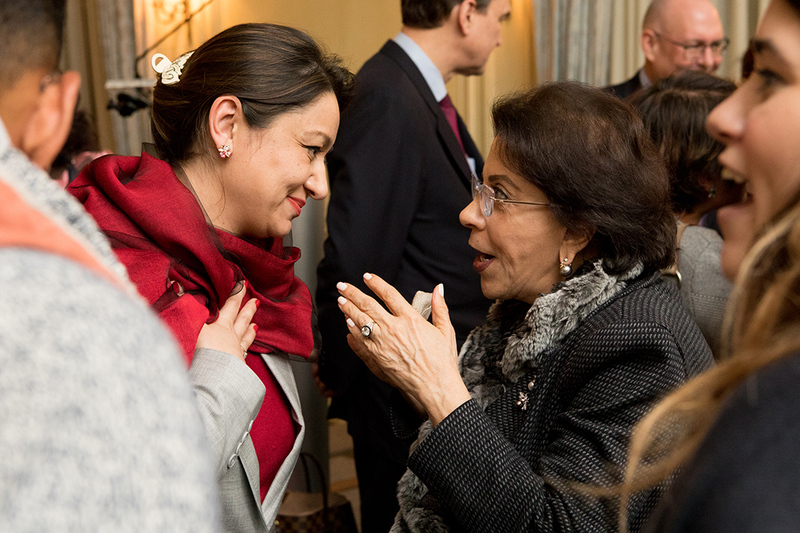 Her Excellency Roya Rahmani (Ambassador of Afghanistan) and Shahin Mafi (Founder & CEO, Home Health Connection). Photo: Jessica Latos. 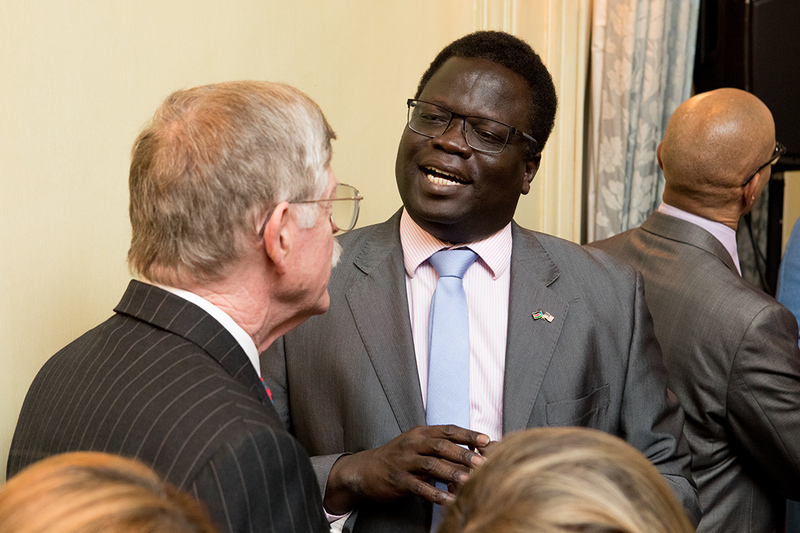 His Excellency Philip Jada Natana (Ambassador of South Sudan). Photo: Jessica Latos. 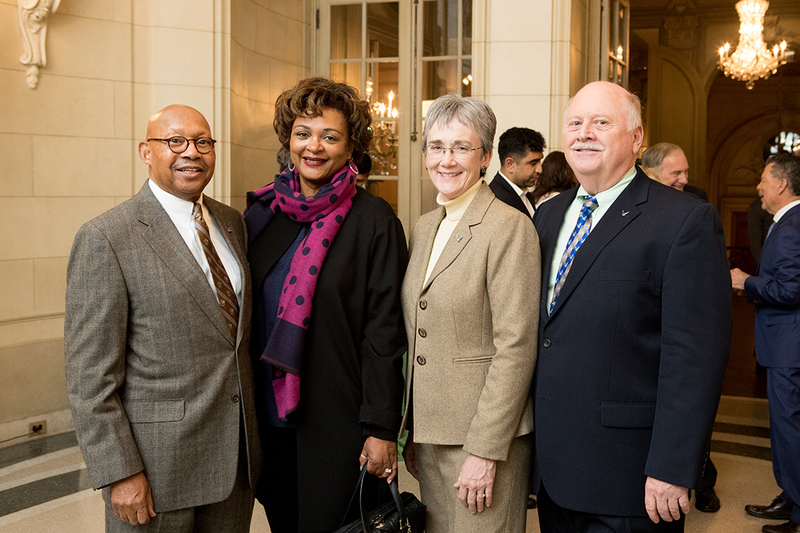 Alphonso Jackson (Secretary of Housing and Urban Development 2004 to 2008), Marcia Jackson, The Honorable Heather Wilson (Secretary of the Air Force), and Jay Hone. Photo: Jessica Latos.